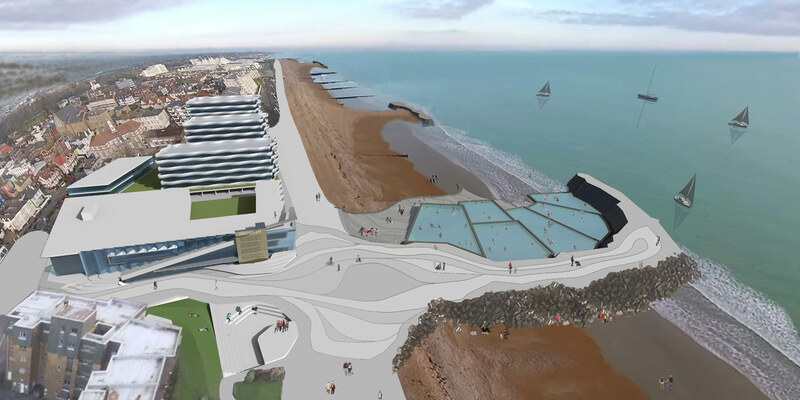 The regeneration of the Regis Centre creating the first step in the re-invention of the seaside town to re-establish Bognor Regis to its former pre-eminent status. 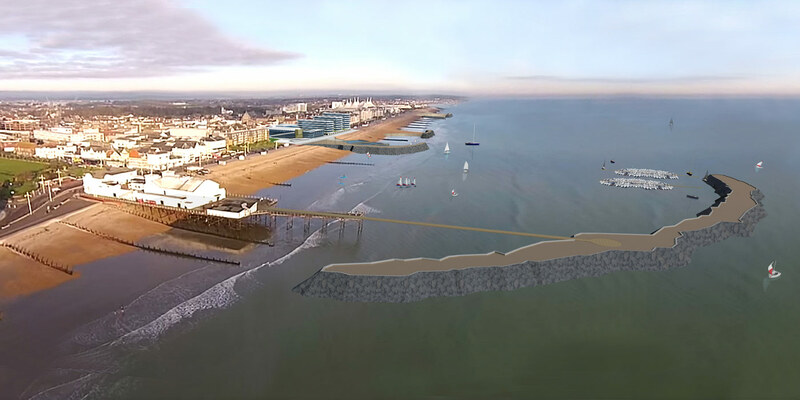 The masterplan intrinsically links the town’s cultural heritage with the seascape forming a new public realm as a threshold between land and sea. 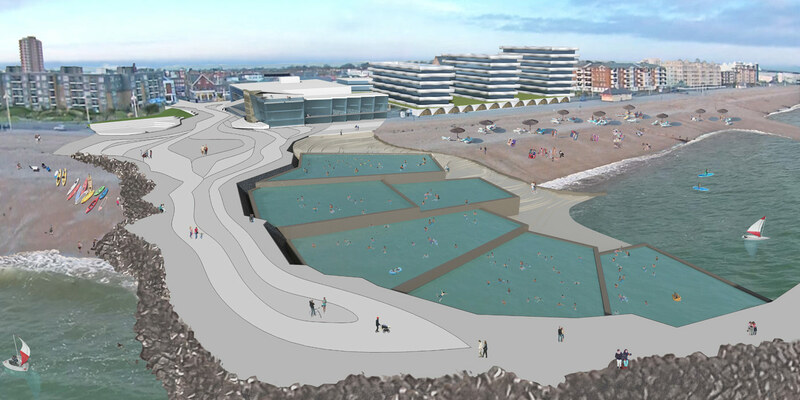 Rock pools, a reef with extended pier, sailing and diving with new sea defences forming sandy beaches create a new water sport hub. The new multi-use cultural centre accommodates the Arun Arts Trust and a new home for the William Blake Gallery, attracting cultural tourism extending the visitor profile and season. Residential accommodation and a hotel sit on a garden deck above car parking with business starter and craft workshops facing the esplanade. Theatre, Cultural Centre, Residential, Retail and Leisure. Masterplanner, Architect and Public Realm Designer. Masterplan and Viability Stage.